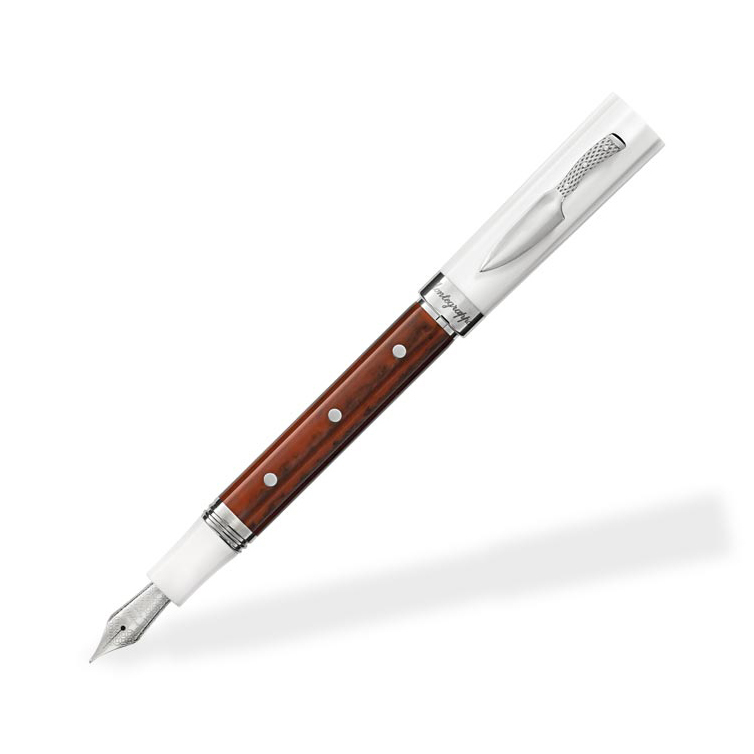 Montegrappa, being Italian, has an affinity for fine dining and a respect for the masters of the culinary arts. 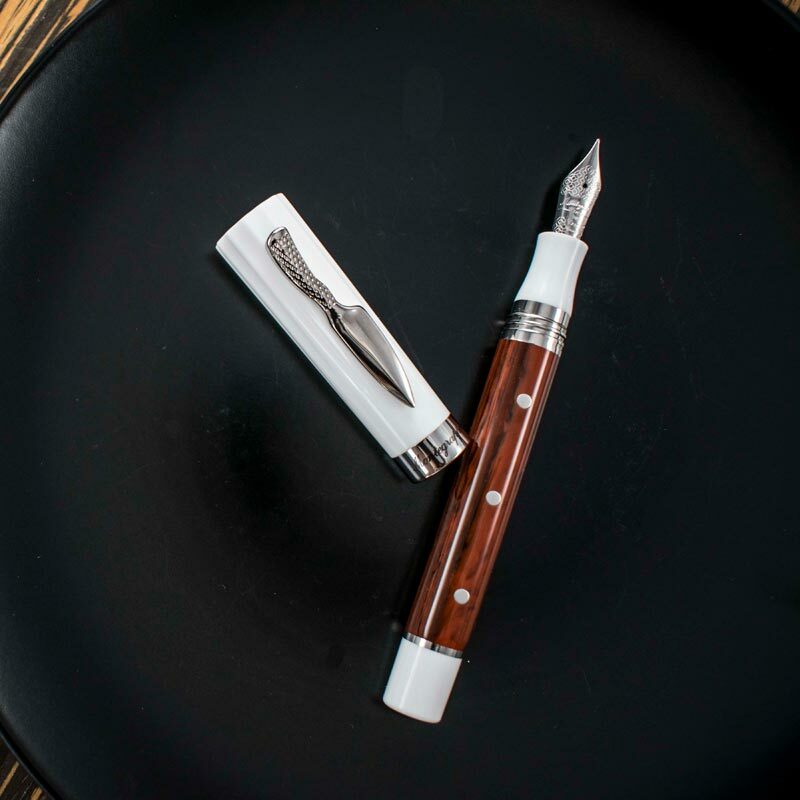 To celebrate the culture of the chef, Montegrappa has created a collection to embody the spirit of the chef in a writing instrument. 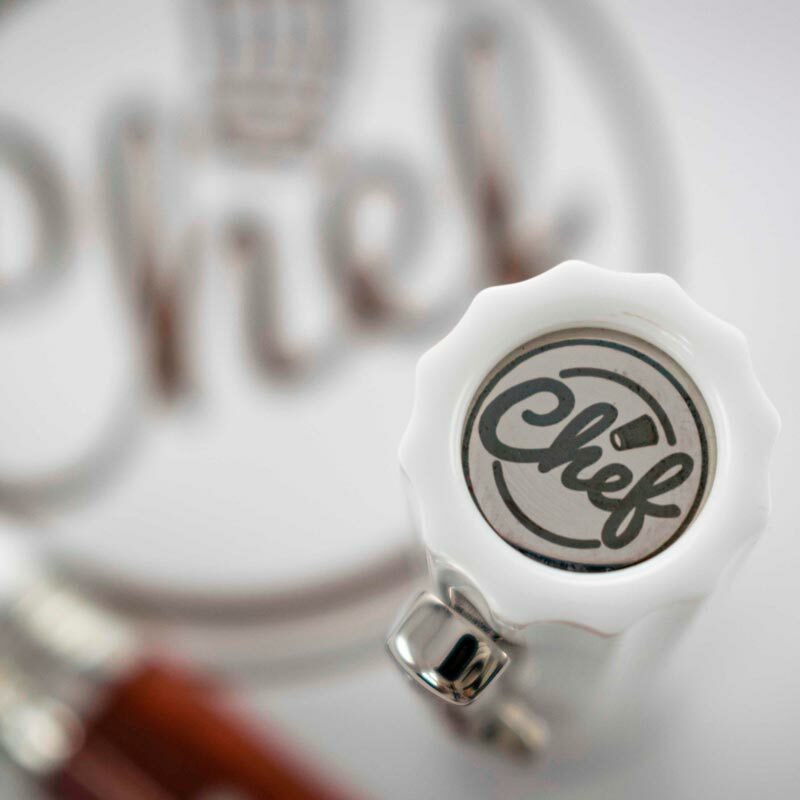 Its most prominent feature is the cap, made of white resin in the form of a typical chef’s cap, complete with pleats. 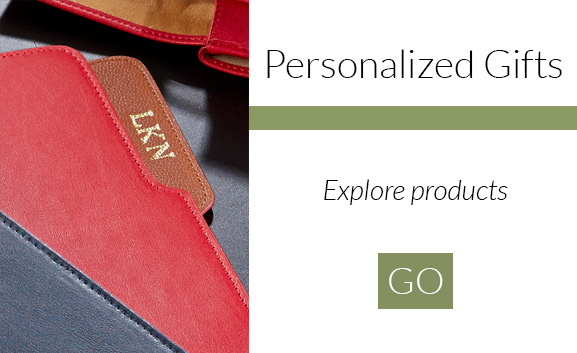 The cap top has been laser-cut engraved with the profession’s logo and symbols. 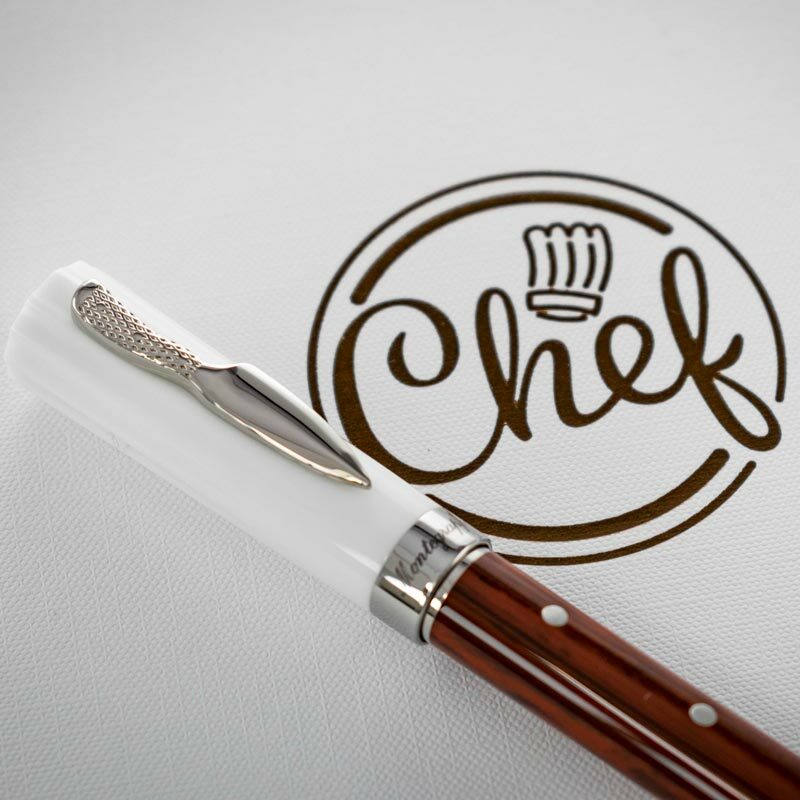 The barrel, a wood-facsimile resin has been adorned with metal pegs to resemble a chef’s knife’s handle, while the signature clip is moulded into the shape of a real knife. 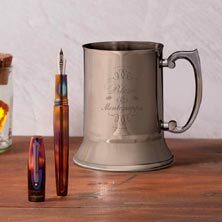 The nib of the fountain pen is made of solid 18K gold and decorated with a Montegrappa filigree etching. 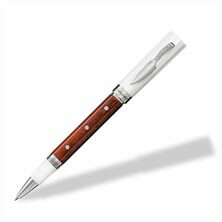 Montegrappa’s Chef’s Pen will make the perfect gift for a family member or friend who loves to write as much as he or she loves to cook. 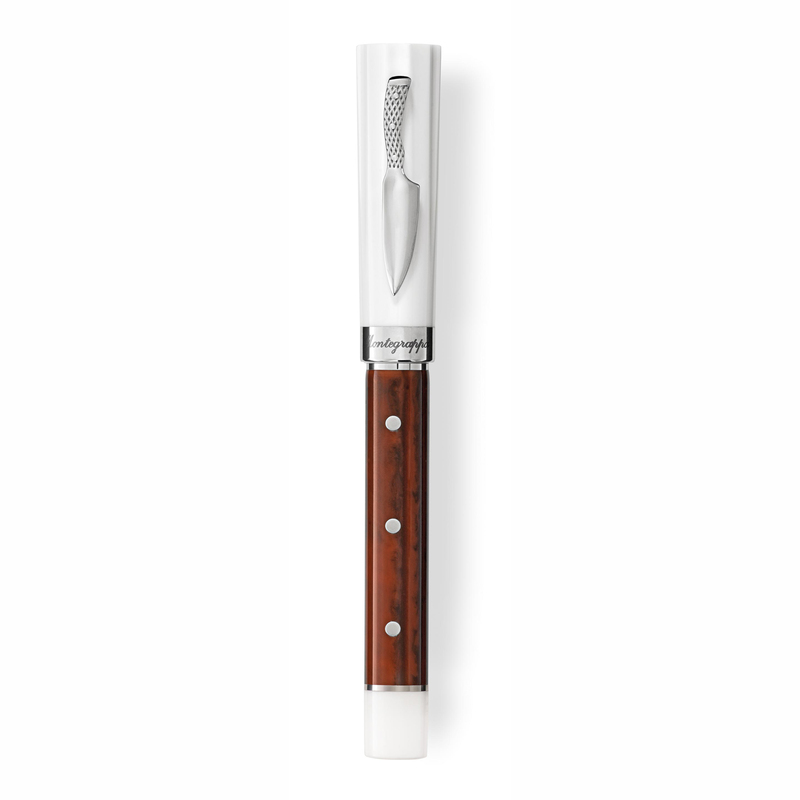 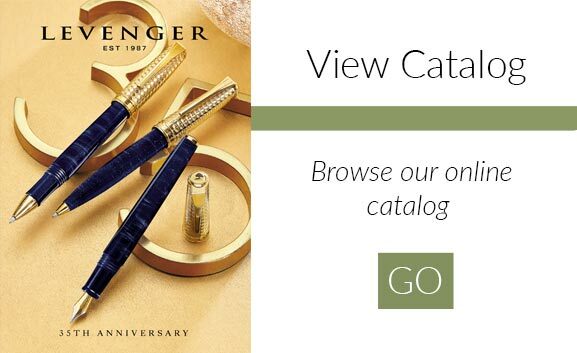 Manufactured since 1912 in the same historic building on the bank of the River Brenta, one of the most picturesque areas of the historic town of Bassano del Grappa in the prosperous north-eastern part of Italy, Montegrappa has the distinction of being the first Italian pen manufacturer.